In 2012, members of the Zonta Club of Porterville volunteered to renovate two bedrooms in a local Emergency Shelter. The shelter is over twenty years old and, unfortunately, has been extensively used for all those years. It serves over 400 women and children every year. 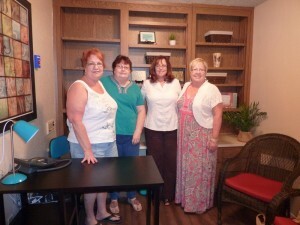 Zonta members completely renovated two bedrooms with fresh paint and new flooring. We also provided new furniture and bedding making the stay of four children much more pacifying. Again, in 2013, the Zonta members took on the renovation of the In-take room, where the new shelter clients, either from homelessness or domestic violence, are first interviewed. The room was transformed such that transition from crisis situation to safety becomes a calm experience. The renovated rooms have a sign acknowledging the work by Zonta Club. The Shelter commends Zonta Club’s contributions in their newsletter which is widely distributed. 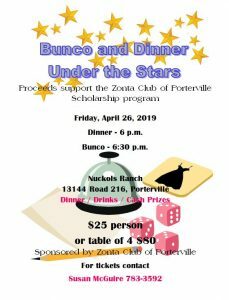 Porterville Z Club members coordinate the holiday parties for the clients’ children spreading awareness of Zonta’s work at homes and schools. Local newspaper praises Zonta Club’s work at the Shelter, as well. The shelter for women and children in domestic violence situations is constantly in need of some tender loving care. Each 10 X 10 bedroom is sometimes home to 2 different families, mother and child. The “Zonta Wing” at the shelter has two of these bedrooms that have been completed remodeled floor to ceiling with new chests, storage and linens. We offered to remodel a storage room into a calming space to meet with women and children just entering the shelter. The new intake room now has soothing colors and furnishings and even has a play space with books and toys for the children.